Situated in the Eastern Himalayan mountains, the fascinating nation of Bhutan offers countless opportunities for exploration. Bhutan Pelyab Tours is ready to create the best Bhutan tour plan to fit your goals and budget. When you select one of our Bhutan travel packages, we’ll show you the all the wonderful destinations that Bhutan has to offer. One of the most fascinating aspects of Bhutan culture is its unique architecture. In Bhutanese tradition, a “dzong” refers to one of a handful of fortress compounds that also served historically as monasteries for Buddhist monks. In addition to these roles, the dzongs served as important social centres, somewhat like a town hall in European tradition. Visitors don’t want to miss the easily accessible and breath taking Punakha Dzong, Paro Rinpung Dzong Dzong, and Tashichho Dzong for a taste of 100%-unique Bhutan. In the villages and towns of Bhutan, the Bhutan Pelyab Tours Bhutan travel agency also guides tourists on a sampling of the amazing cuisine that Bhutan has to offer. From authentic dishes like the deep-fried wheat flour fritters with sugar called khabzey to the butter tea called suja, Bhutan never disappoints hungry travellers. The Bhutan Pelyab Tours Bhutan trip package includes a thorough survey of all the most exceptional Bhutan traditions. With its position high above sea level, crisp air, and national dedication to sustainable development, Bhutan has retained the natural beauty of the Himalayan mountains. Elevations reach as high as at 7,570 meters (24,840 ft) at Gangkhar Puensum, which means that the animal and plant life is unique to the extreme climate. Our Bhutan trek tour packages are designed to introduce our clients to all the stunning natural scenery of the untouched Himalayan mountains. The Bhutan Pelyab tour guides who lead travellers are experts on the history, culture, architecture, and food of the small mountain nation. We are a service-oriented provider with a long track record of providing a fun, educational, exciting experience to the visitors who choose to travel the country with us. 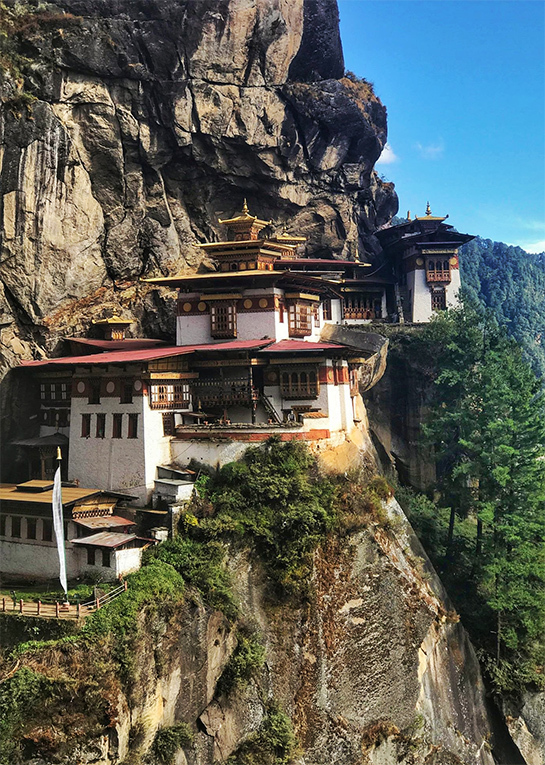 We customize our clients’ Bhutan packages to ensure they get exactly what they want out of their journey with a focus on their particular area of interest. For example, if you want to escape into the mountains and enjoy the immense beauty of the landscape, we can arrange that with one of our Bhutan trekking packages. Or, if you are more interested in learning about the rich cultural heritage of Bhutan, we can serve you through a cultural tour. We aim to please, and our staff will go above and beyond to accommodate the specialized needs and desires of our clients.